Sylvia moved to Smith Mountain Lake in 2006 with her husband, Kenneth, to enjoy the solitude and beauty of the lake and mountains after 35 years of federal service as a financial manager. She began her career in real estate and active participation in the Smith Mountain Lake community shortly thereafter. She received her real estate license in May 2007 and later obtained her Broker’s license in 2010. Sylvia has a passion for being the very best at what she does. She loves a challenge, especially when meeting that challenge means a client’s real estate goals becomes a reality. Sylvia offers her clients more than real estate experience and expertise. She brings them her energy, her determination, and her competitive spirit. At the core of her business is a firm commitment to taking good care of her clients. Her service always begins with actively listening to their goals and desires, then goes on to doing whatever is necessary to turn those goals and desires into reality. She is a tireless advocate for her clients. Sylvia has completed special training in the sales and marketing of luxury homes and has been awarded membership in The Institute for Luxury Home Marketing® and the prestigious Certified Luxury Home Marketing Specialist designation for demonstrating exceptional knowledge, experience, and expertise in the luxury home market. 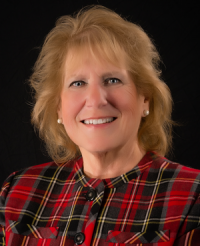 When you’re looking for a Smith Mountain Lake REALTOR® who will use her knowledge, experience, drive and determination to turn your real estate goals into reality, look to Sylvia McDowell-Kent. You’ll soon know why her past clients say they’d never choose anyone else.